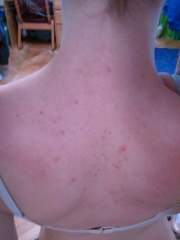 Well, I had a long summer in the sun and a few months back at school with no back acne at all and close to no facial acne. It was great! But of course, I'm back. 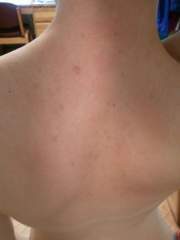 Back has about 3 big spots and some small bumps on my neck. 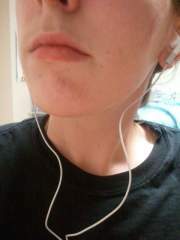 While my face has 4 or 5 small bumps and one HUGE cystic bump on my chin. 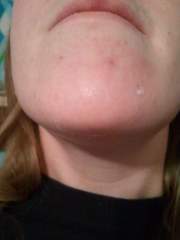 My chin has always been a problem area, and now its starting up again. 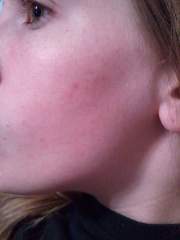 I don't know why my acne is awful during winter...i'm guessing becaues of the lack of vitamin D, but here I am again, with acne. Yeah, I don't know if I will be drinking in 'moderation' haha. But, I hope it doesn't do anything too bad to my stomach/liver/any other vital organ. Thank you for the advice! Those things sound great, and I just checked out your blog. 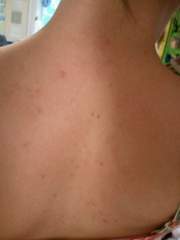 It sounds like we have similar skin (definetely combination skin type and sensitive), but I looked up the products and unfortunately I don't think I can get them in the US. :/ I would have to get them shipped in from AU. Hopefully I can find something similar here, and hope that works as well. Thanks for the comment though! 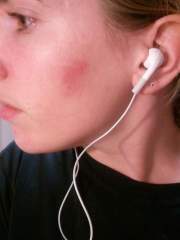 I really like knowing that people are reading the stuff I am writing because the acne life gets lonely sometimes!